Last week in this space the topic was our beliefs and attitude and how those drive our behavior and, effectively, the outcomes in our businesses and personal lives. Apparently I didn’t get it all out of my system, because I’m still thinking about it now. We live in a world that demands almost constant change. Most people we work with admit that. Yet so many of them have created an environment in their organizations that makes that change almost impossible. And it’s not because of budget decisions or something like that; it’s because of the attitude of the leaders. We are all faced with things we don’t like. Not liking how something is functioning or the outcomes you’re getting is different than having a bad attitude about it. 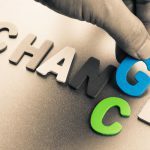 You have to recognize where things need to change in order to be able to effectively change them. The problem comes when, instead of identifying how we’re going to change things that we aren’t satisfied with, we just complain about how much we don’t like the thing we aren’t satisfied with. We go on and on about how that thing is damaging us and how hard it makes our lives and how we wish we didn’t have to deal with stuff like that. All of which does nothing but make it harder for us to change. Think about your leadership team. When barriers (or even opportunities) arise, what do people say? Do they have conversations about how to push through those barriers, or how to take advantage of those opportunities? Or do they sit around whining about how unpleasant this situation is, and how they sure wish they didn’t have to deal with stuff like this, and how hard their lives are because they have to deal with stuff like this? Unfortunately, there are a lot of groups that fit the second description. If you’re the leader, you can’t allow yourself to fall into that trap. If you do, it infects everyone around you. I’ve been around organizations whose leader is solution-focused, and I’ve been around organizations whose leaders like to complain. Guess which ones are more successful? As you’re faced with all kinds of challenges, make sure your response is always change. It may be to change the situation, or change your organization. It may even be to change yourself and what you believe. Whatever it is, don’t let your response be to sink down into the mud. Get up, get out, and get moving. Absolutely correct – unfortunately we too often forget that and allow ourselves to fall into self destructive habits. Sometimes just being conscious of the power of our beliefs can help us make better choices. Thanks Chris!